Styled with laciann tank and durante jacket . 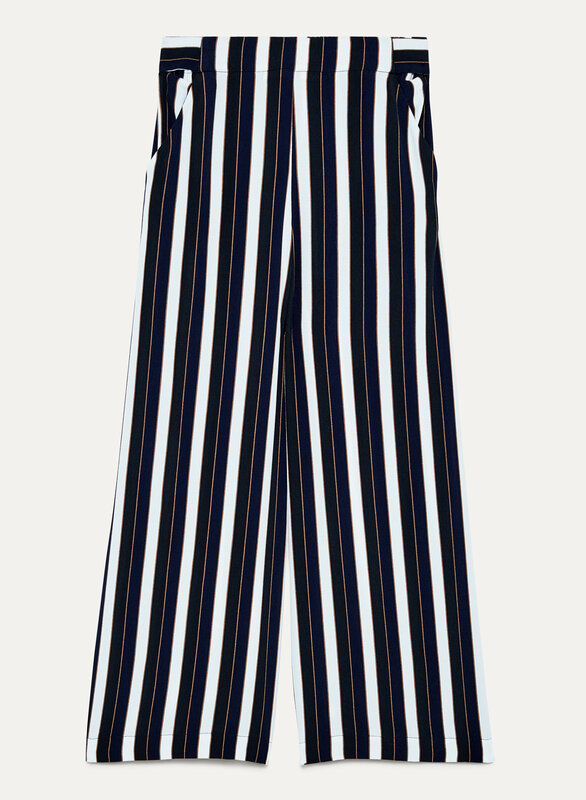 These wide-leg pants are made in an exceptionally soft fabric that drapes beautifully. 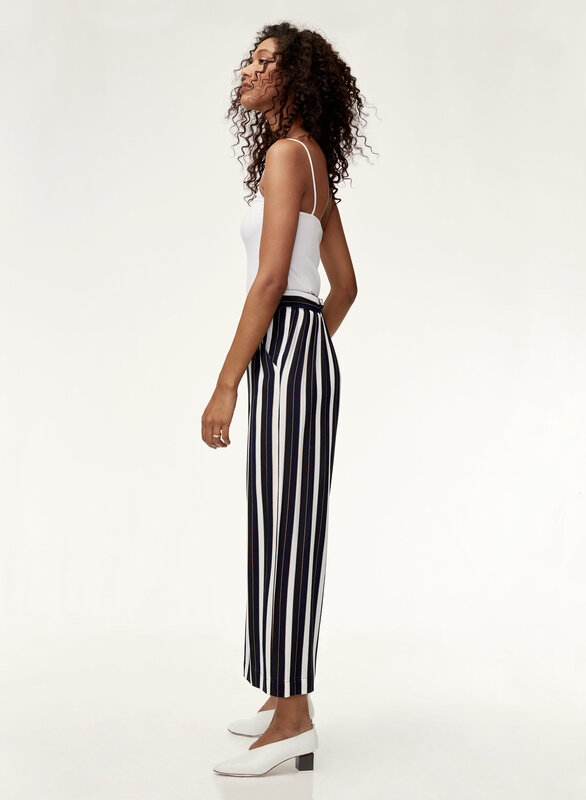 A high-waisted silhouette and a subtle flare hem make for an effortless fit. 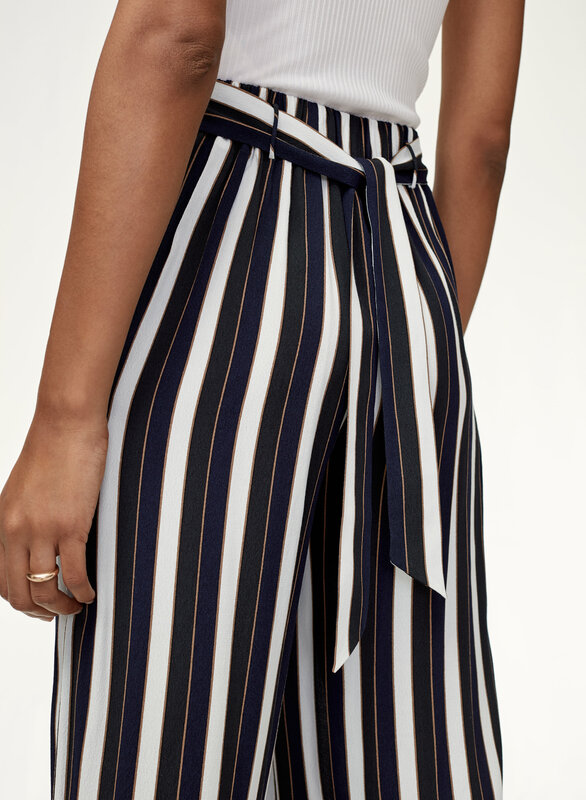 The vertical stripes are flattering. 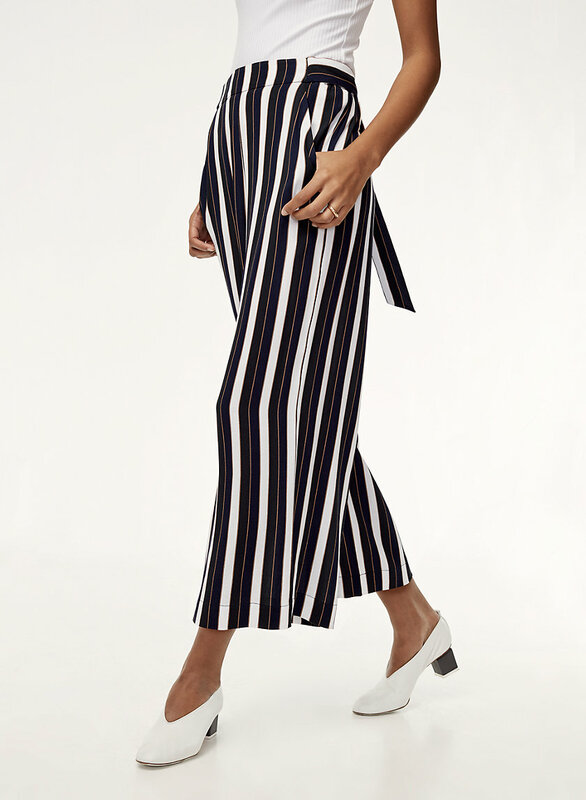 The white cropped pants are fun for spring. 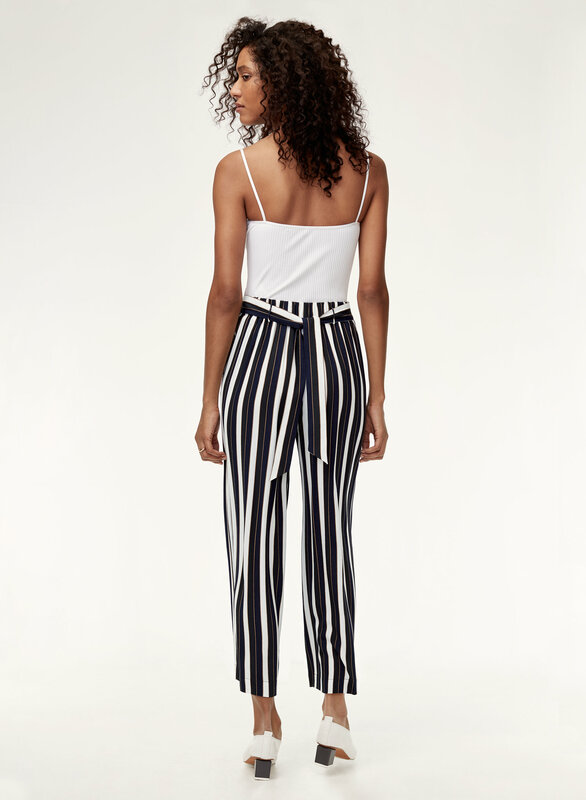 I like the high waisted feature of these pants.